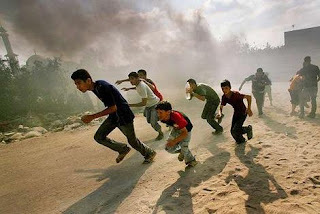 GAZA STRIKES - GÜLEFENDİM - [ EN SEVGİLİYE ] İman, Hakikat ve Huzur Yolu..! Turkish scholar Fethullah Gulen reacted against Israel's Gaza offensive by urging on international organizations such as the UN, the EU, the ICO, Arab League, and the NGO's to take the necessary steps to "soothe the common conscious". In his message, Gulen noted that people living in the 21st century have been induced to starvation, left in poverty, and attacked from the air under a blockage are left with nowhere to escape make the "common conscious of humanity bleed." Gulen also analyzed the timing of the Gaza Strikes underlining that actions to block peace would be unacceptable. He also said that Israel's positive responses to Turkiye's negotiating role brought hopes for lasting peace in the region and that "a state which represents one of the most ancient civilizations in the world to behave in such a way as if there were no other way apart from violence and severity. Exercising violence against a handful of people who have not yet established a state might disturb the balance of power in the Middle East and increase the tensions in the region turning it to a fire ball."